Brains on Trial: Deciding Punishment premiered September 18, 2013. Join host Alan Alda in a unique blending of his two passions — drama and science. Brains on Trial with Alan Alda takes a fictitious crime — a convenience store robbery that goes horribly wrong — and builds from it a gripping courtroom drama. As the trial unfolds it takes us into the brains of the major participants — defendant, witnesses, jurors, judge — while Alan Alda visits the laboratories of some dozen neuroscientists exploring how brains work when they become entangled with the law. The research he discovers poses the controversial question: How does our rapidly expanding ability to peer into people’s minds and decode their thoughts and feelings affect trials like the one we are watching in the future? And should it? On trial is Jimmy Moran, who a few days after he turned 18 took part in the robbery of a store during which the storeowner’s wife was shot and grievously injured. The trial is held in the courtroom of distinguished US District Judge Jed S. Rakoff, who has a long-standing interest in neuroscience and how it may affect criminal law. The trial raises questions common in such cases — is a witness lying? — how reliable is eyewitness testimony? — how to avoid a biased jury? — how well can the defendant’s intentions be judged? 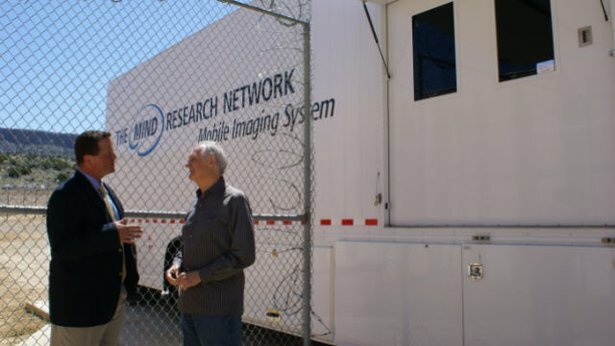 Alda explores how brain-scanning technology is providing insights into these questions, and discusses the implications of neuroscience entering the courtroom. During the sentencing phase of the trial, Judge Rakoff hears arguments from the court appointed psychiatrist, the prosecuting and defense attorneys, the victim’s husband and Jimmy himself. Meanwhile Alda discovers how neuroscience is already influencing the sentencing of defendants — especially young defendants like Jimmy — by revealing in vivid detail how the immaturity of the teenage brain makes it vulnerable to foolish and impulsive acts. Alda also explores more speculative neuroscience that may predict Jimmy’s future dangerousness and even his remorse for the injury he caused. Before Judge Rakoff pronounces Jimmy’s sentence, Alda meets a judge who has volunteered to have his own brain probed as he makes sentencing decisions.